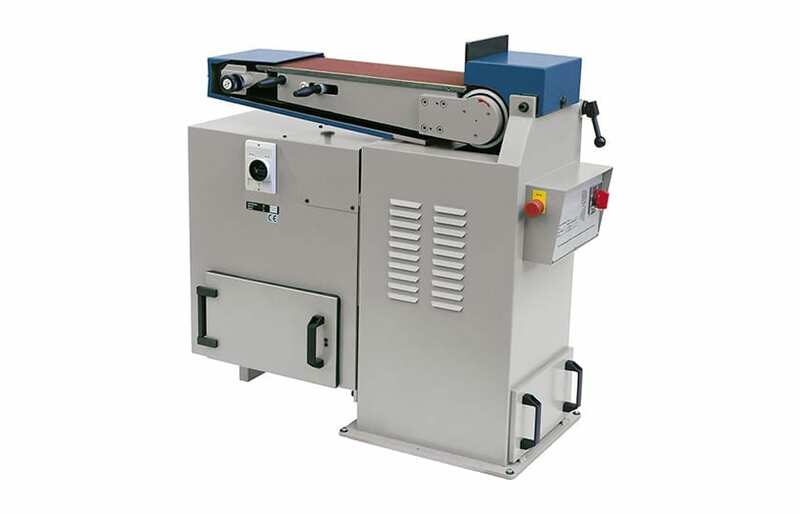 The surface belt sander of the B 200/150S series is the robust and reliable machine for high and maximum demands in single and multi-shift operation. 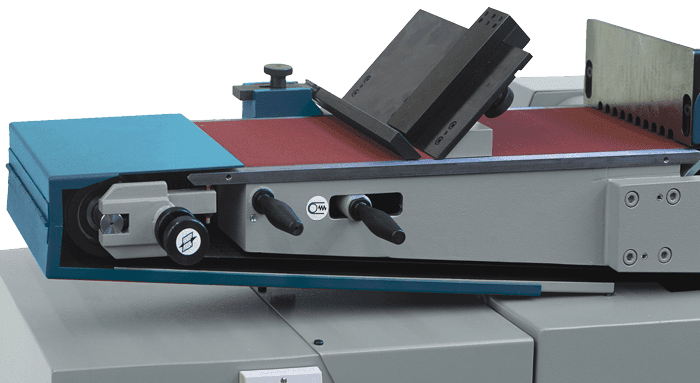 The basic equipment alone shows the machine’s versatility for a wide range of grinding tasks on a variety of materials. When working with a vertical grinding table, the angled table with scale and transverse stop is an excellent aid. Undervoltage release, motor protection and emergency stop device contribute to the safety of the machine. 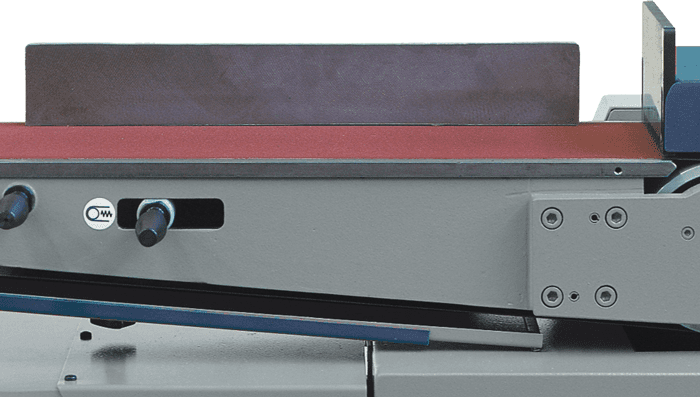 Fast, trouble-free belt change – so the machine can be changed over to other sanding belts in no time at all. 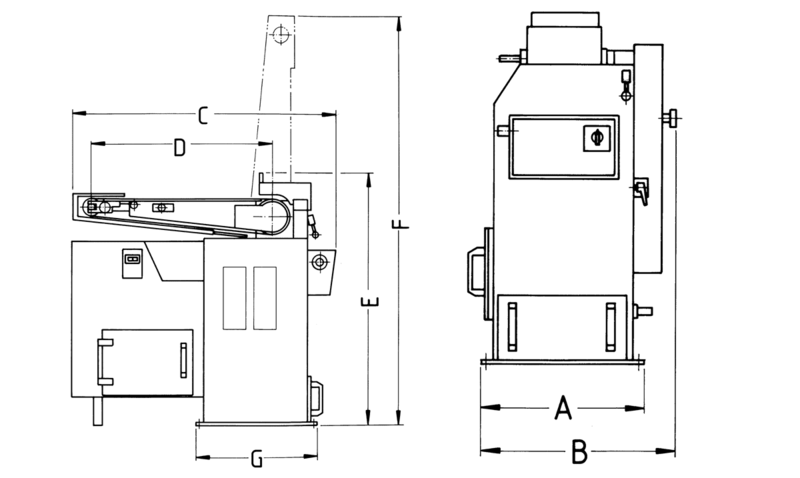 Pre-separators for grinding dust and connection pieces for separate extraction systems are integrated in the machine stand. Square or round workpieces can be optimally deburred or chamfered with the deburring and chamfering device. The chamfer width is infinitely adjustable. Even parts of any length can be chamfered. A deflection roller allows the grinding of outer radii or working on free belts. With a longitudinal stop, parts of any length can also be guided over the grinding belt. A compact dedusting unit was developed especially for the B 200/150S – the KTA 600. Space-saving, mounted directly on the machine, this dedusting unit ensures safe extraction of the grinding dust. The extraction volume of 600 m³/h is generously dimensioned, the filter unit can be manually mechanically vibrated. Note: This extraction unit is not suitable for grinding aluminium!